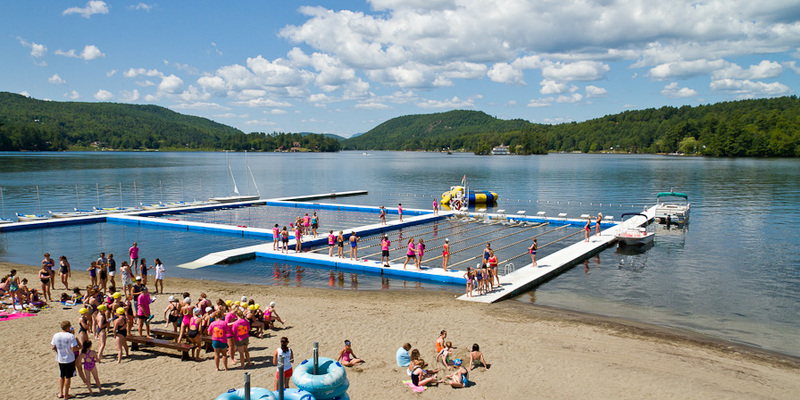 Our waterfront has a spacious lane and dock system that is as ideal for swim team training and competition as it is for instructional and recreational swimming. Beginning swimmers build their skills in an enclosed shallow area off our beautiful sandy beach. Our swim instructors are all American Red Cross certified and have their certificates in Water Safety Instruction. All swimming lessons are based on the American Red Cross standard progressions. Recreational swimmers can enjoy splashing in inner tubes and jumping on our water trampoline during their free swim times. Avid swimmers can train with our swim staff numerous times throughout the day. 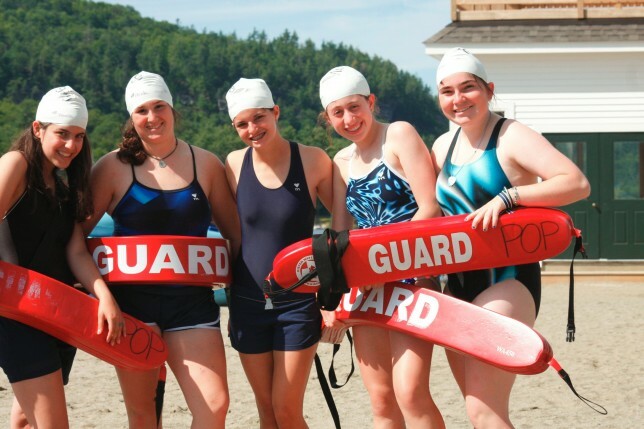 Our oldest campers have the opportunity to take the American Red Cross Lifeguard course during their Peak summer. 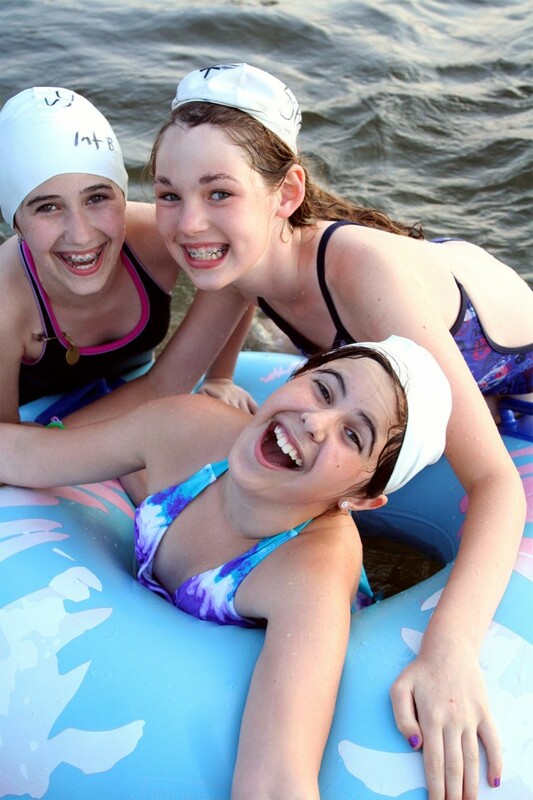 Many campers of all ages and abilities choose to join the Point O’Pines swim team with the chance to compete in multiple individual and relay events throughout the course of the summer.